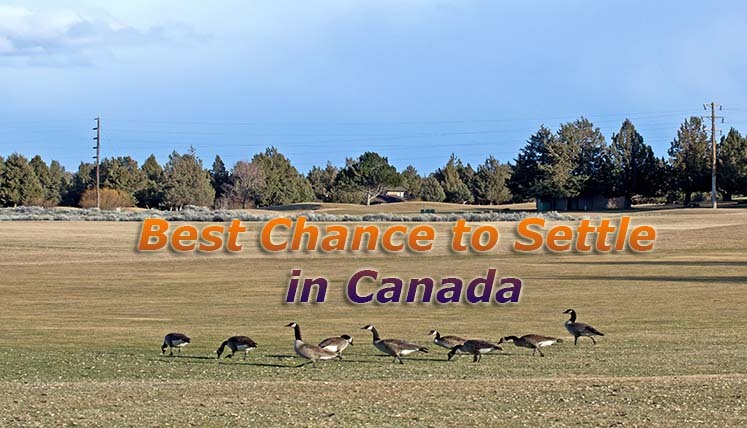 If you are planning to settle in the top advanced country like Canada for a long time, this is the time you should gear up and take the first step. At now Canadian government has reduced the qualifying marks in its federal express entry immigration system. Not much aware about express entry system? Let’s find out. The express entry system is an online point based system launched by Canada’s immigration department, i.e. Immigration Refugee and Citizenship Canada (IRCC) 2 years back. This, in fact, is economic immigration program of Canada that is designed to address the need and requirements of the labour market in Canada. It aims to invite and select best and brightest from overseas skilled workers from overseas, who can contribute significantly in the economy and development of Canada. Also, Read- 10th Express Entry Draw of 2017- Is there any Chance of Qualifying Marks dropping down to 400 Points? Candidates applying for the express entry are judged based on their qualification, language ability, age, and work experience, etc. factors and accordingly given immigration points. The system in place to calculate points of the candidates is called Comprehensive Ranking System. IRCC launches draw every 15 days and pick up the candidates who are able to achieve the CRS score requirement decided for a particular draw. The candidates selected by IRCC in every draw, become eligible to apply for Canadian permanent residency. Apply for Canadian Citizenship after being a permanent resident for few initial years. Acquire the Healthcare and most of the other social benefits, which a Canadian Citizen receives. Get protection under Canadian law and the Canadian Charter of Rights and Freedoms. What is CRS Score Requirement? A CRS score is the total point score obtained by a particular Canada immigration applicant based on his/her profile factors, i.e. age, work experience, language ability, qualification, etc. IRCC announces CRS score for each express entry draw and candidates, who have the CRS Score equal to or above the required CRS score, becomes eligible to receive the Invitation to Apply (ITA) to apply for permanent residency in Canada from IRCC. Why it’s the best time to apply for Canadian Permanent Residency? At now the qualifying marks or CRS score requirement has been reduced drastically by the Immigration Refugee and Citizenship Canada (IRCC). The qualifying marks may reduce further in the coming draws of express entry, looking at the current EE draw trends this year. If you apply for Canada PR at now as a skilled worker, you stand every chance of securing the ITA (Invitation to apply) for Canadian Permanent Residency. So, if you wish to get Canada PR in 2017, get in touch with a trusted and accredited Canadian Visa Consultancy Firm to confirm key details and apply in the federal express entry system of Canada through a certified immigration specialist. Disclaimer: We are not a job recruitment agent and job service provider, we do not deal in any kind of working visa this page is only available for information purpose. We are a solely an Immigration Advisory Service that advice and assist applicants on PR and Tourist Visa process. Key Features of New Temporary Skill Shortage (TSS) Visa Program Replacing 457 visa?